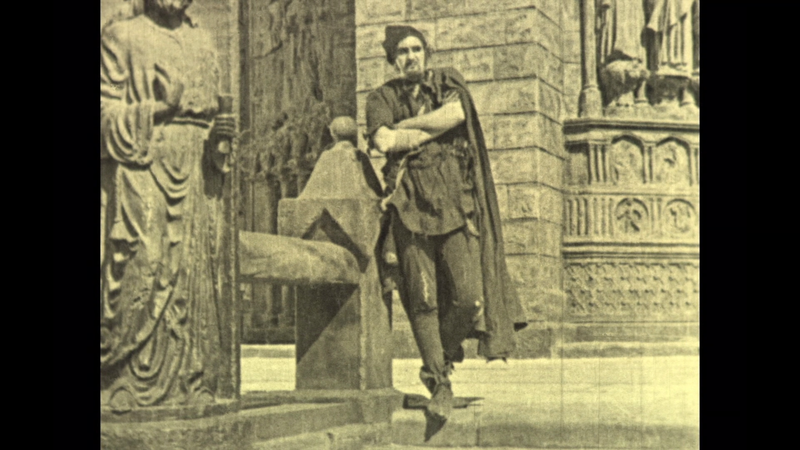 The Hunchback of Notre Dame is one of the most famous stories ever told. The basis of this film version (and the many other adaptations that have happened throughout decades) is the novel by author Victor Hugo. The idea of adapting the story into a feature length production was quite daunting when it was first approached as a possibility and it was the would-be star of this 1923 production, Lon Chaney, who would help to get the concept underway with a still fledgling Universal Studios. The film went on to become a smash hit and the film is considered to be amongst the largest grossing productions of its time. Upon its release it was also met with ambulant praise as both an overall production and for the performance by Lon Chaney. In experimenting with silent filmmaking on a large scale, Universal and everyone involved in producing this adaptation of The Hunchback of Notre Dame delivered a epic experience, one that is in many ways a total embodiment of prestigious studio-produced motion-pictures. The story of the film involves several key characters. 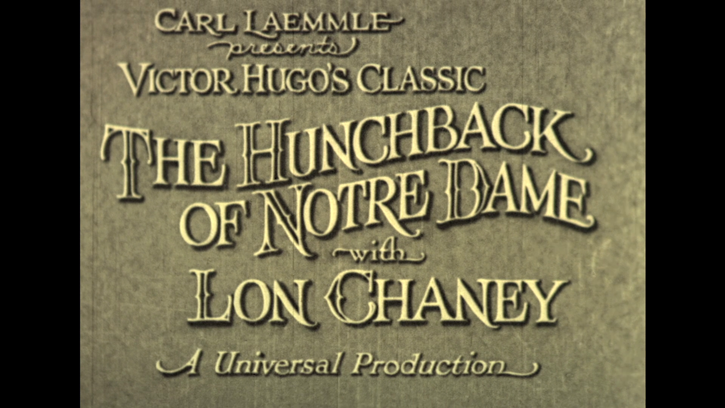 The character that the title refers to is of course Quasimodo (Lon Chaney), who is otherwise known as 'the Hunchback of Notre Dame'. 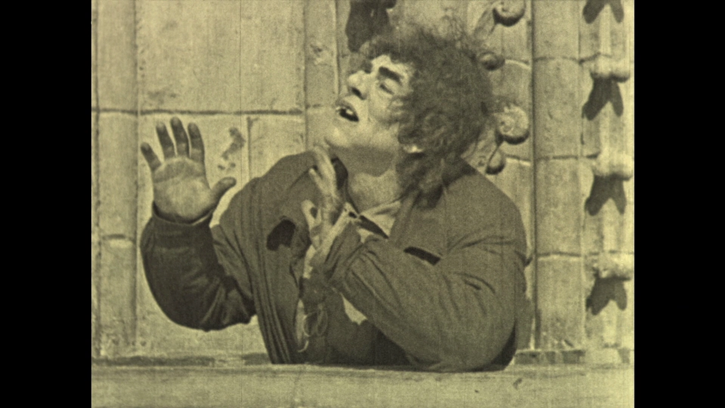 Many of the townspeople and characters in the story are repulsed by and do not even want to look at Quasimodo. He is also often ignored. Yet he demonstrates that he has a good heart. In one pivotal moment in the film he is helped by Esmeralda (Patsy Ruth Miller), who is the only one to show kindness to him. This kindness instills a sense of love in Quasimodo to protect her. Over the course of the storyline, "romantic" feelings for Esmeralda form from Quasimodo's evil master Jehan (Brandon Hurst), as well as a solider named Phoebus (Norman Kerry), who initially doesn't return her love but grows to become more courageous and caring over the course. While various characters between entwined in the life of Esmeralda she repeatedly becomes in danger with her life hanging in a balance. Quasimodo, Phoebus, and Clopin (Ernest Torrence) - who is referred to as 'King of Truands' - all attempt to save her in different ways during the storyline. The backdrop of the film also focuses on the beginning of what is a new peasant revolution against Notre Dame. All of these intersecting events lead to the grand finale which is intense, emotional, and rather complicated (without being too difficult to follow). 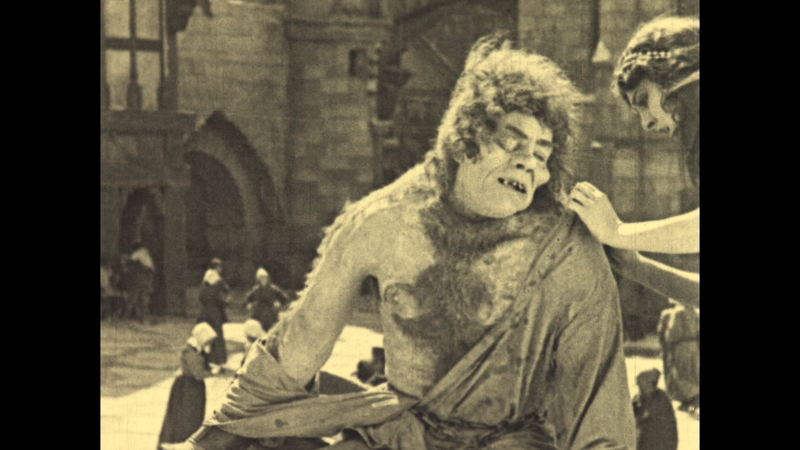 The performance which unquestionably stands out the most in The Hunchback of Notre Dame is the role of Quasimodo as performed by Lon Chaney. The actor was entirely unrecognizable in the role, which is something he was quite famous for as a actor who utilized his own make-up techniques to transform himself into an array of characters that were unlike his own appearance. Anyone who would even see a still image of the actor without his makeup on would be shocked to learn that he performed the character Quasimodo with such precision. To bring the character to life he modeled a number of his makeup ideas from the descriptions of Hugo. The end result of his efforts was a surprising performance that is entirely absorbing to behold. As a silent film star he was capable with evoking emotions quite well as a performer without overacting. 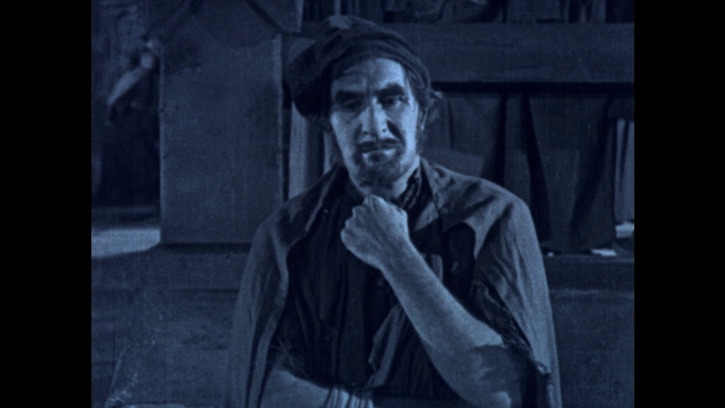 This performance as Quasimodo is considered amongst his greatest turns as an actor and it's quite easy to see why: Chaney took many bold, intelligent strokes as a performer in this vehicle showcasing his abilities. One of the things that truly set this film apart from the rest of its brethren was that Universal was determined to make this a high-budget prestige picture that could rival what was being made by the big studios. At the time of its release, Universal was still not a big player in the filmmaking industry. That changed with the release of this film as the studio made enormous amounts of money from their production of the film. This was possible, in part, because of the fact the studio spent gigantic amounts of money producing it. The budget even helped to amplify the lavish art direction from E.E. Sheeley. With a tremendous backdrop of sets built on the actual studio lots and a multitude of set-pieces the entire production was noteworthy - from the stage design, to the costumes, to the make-up, all of the elements were there - including thousands of extras that added to the film's tremendous, epic scope. As to the music element, the score presented on this release seems to have derived a lot of mixed reactions because the music is frequently more lighthearted than expected. 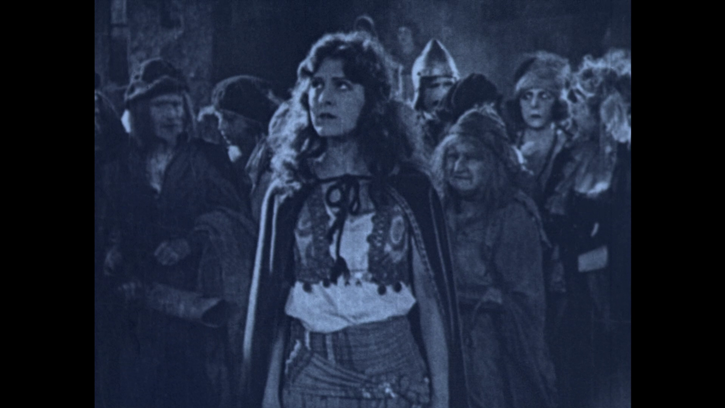 Many scenes could arguably use a darker score accompaniment. I noticed this myself, especially during beginning and ending passages of the film. Generally speaking, the score does add to the sometimes melodramatic nature of the film instead of enhancing the story and it's darkness or sometimes elaborate visuals. Even with this complaint against the composed score featured on the presentation, I must say that I find this score to be quite involving and musically great - it's not going to be the most 'ideal' score some are hoping to find but it's beautiful music with a lot of amazing moments that still enhance the experience. The composition quality is quite high and it was notably enhanced from a quality recording of the arrangement with solid instrumentation at each turn. 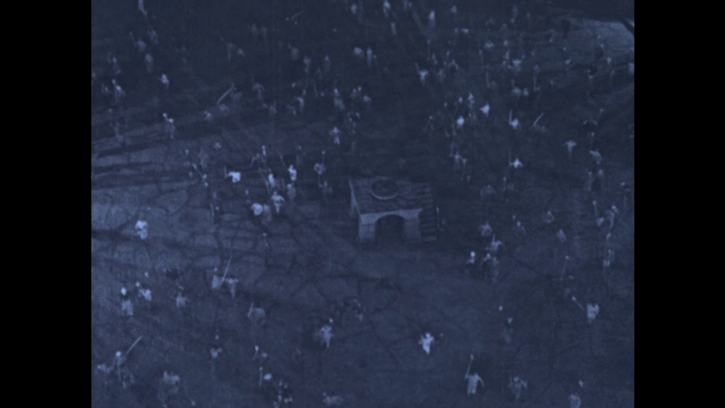 Directed by Wallace Worsley, the film has a good artistic sensibility and some of the shots are decidedly modern. 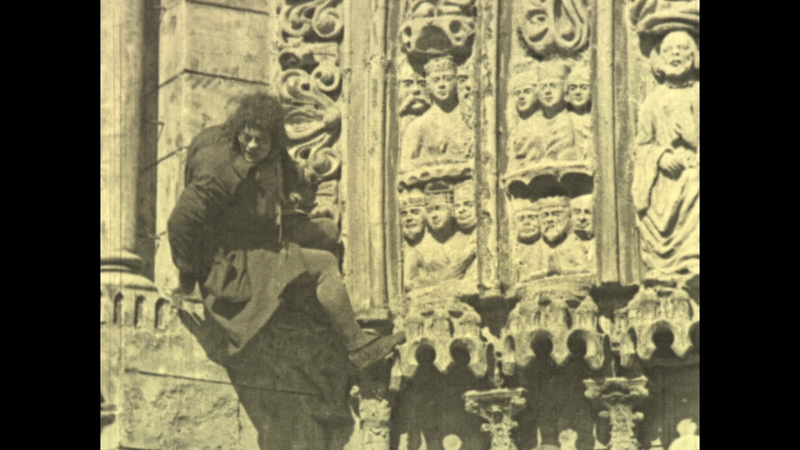 One of the best moments in the film is when Quasimodo slides down a rope towards rescuing Esmeralda. The shot is from above and seems slanted and abstract as a shot. This seemed to me to be ahead of the time. I was genuinely surprised to know that scenes like that were even technologically possible during the 1920's.Worsley, who worked with Chaney several times before, did amazing work on The Hunchback of Notre Dame, which will continue to be regarded as a silent classic. The cinematography by Robert Newhard was also an aspect of the film that was impressive. The use of color tinting that was done to The Hunchback of Notre Dame to help identify the day scenes from the night scenes was effective and added to the high quality effect of the filmmaking. The day scenes being a golden hue and the night scenes being a grayish blue. The tinting enhanced the experience and was an appreciable part of the filmmaking. While some may have forgotten this version of The Hunchback of Notre Dame over the years, I'd guess that many more remember it for its uniqueness of performances and for it's bold production work. The film isn't without some fault - some of the supporting parts are performed with high levels of cheesiness, for example - but the film is a brilliant star turn by Lon Chaney and the elaborate aspects of the production are still remarkable to behold today. This is a genuine classic of the silent film era and it's a quality film worth revisiting and enjoying. Flicker Alley's Blu-ray release is to date the best presentation of the film that is currently available, though it still has a lot of problems. The film's Blu-ray release is from a 16mm print which was created from the original 35 mm camera negative and it utilizes what is considered the best surviving elements (none of the 35mm prints of the film survive). What fans of the film can expect with this release is an actual HD master on Blu-ray with a boost in clarity and resolution and fewer issues related to compression. 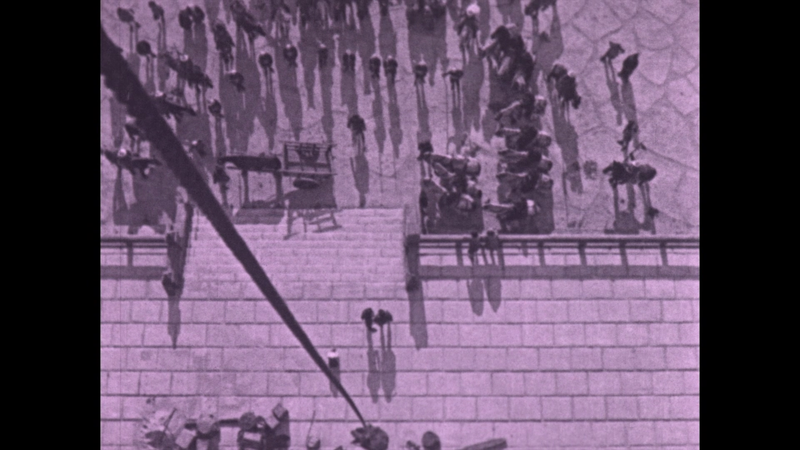 This print source preserves the most important details of the film and facial expressions, sets, and the fascinating cinematography is mostly kept intact with good resolution for its 16mm origin. Damage to the print is abundantly on display, though, with specks of dirt and other pesky deterioration, and there are missing frames here and there that make the film jump. 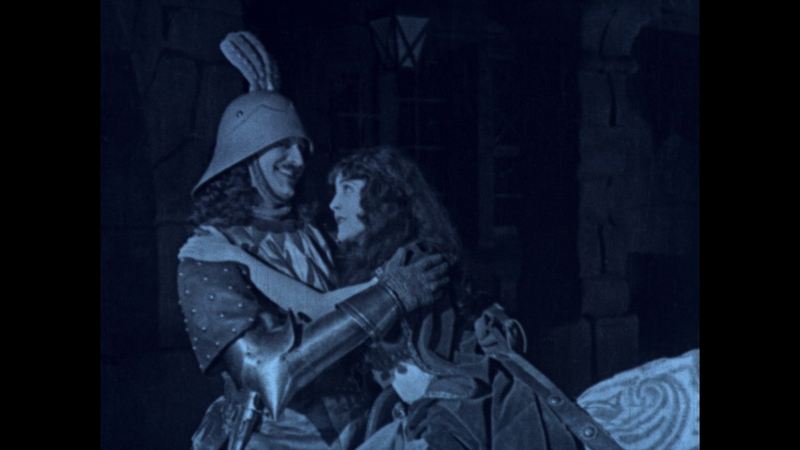 Viewers will need to keep their expectations in check on this Blu-ray release, it's not a pristine-looking film like the recent Criterion release of The Freshman, but this is the best and highest quality presentation of this classic silent film available. The MPEG-4 1080p encoding does a admirable job of presenting the flawed source material. The presentation is accompanied by a symphonic score that was arranged by composer Donald Hunsberger. The score was conducted by Robert Israel and recorded in the Czech Republic. Unfortunately, the score is presented only in a lossy Dolby Digital 2.0 presentation that is a disappointment for a Blu-ray release. The lack of lossless audio on any release is something considerably disappointing for the best preservation efforts of films. However, I will say that considering the fact that the score was not one presented with the film originally and that the quality of the standard Dolby Digital audio is actually pretty good for a lossy source this is an acceptably decent audio presentation. 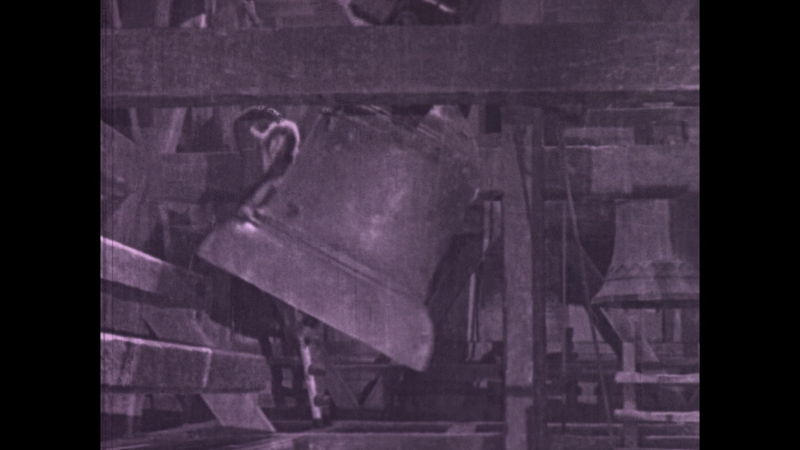 In addition to the score music, I appreciated the use of a bell for a pivotal scene in the film that was timed with the ringing done by Quasimodo. This is certainly an example of adding a sound effect appropriately to a silent film. 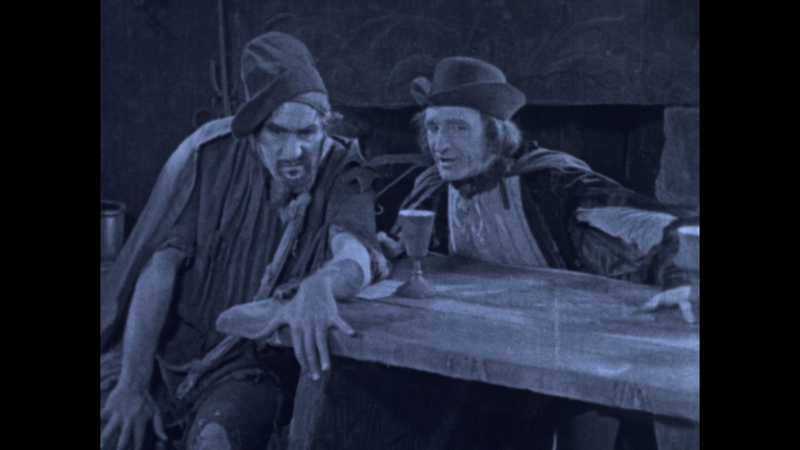 I wish this sort of sound effect placement was utilized more with silent films. Packaged in a thicker, clear case (similar to that used by the Criterion Collection) and featuring impressive double-sided artwork featuring a letter written by Carl Laemmle and a page of the program showing the cast and primary credits this is first of all a nicely designed release. It seems some care went into its presentation. The included booklet is quite informative and in-depth. There is a lot of information provided about the production and how it began. The piece included is an essay written by Michael F. Blake (notably an author of three books about Lon Chaney). It's a top-notch booklet that rivals Criterion's quality inclusions. - approx. two minutes of rare footage (presented in standard definition) that was filmed on the Cathedral Hunchback of Notre Dame set featuring Lon Caney out of his extravagant make-up and doing a demonstration of his wall climbing skills. - HD video photo-gallery with more than 100 different production and publicity still frames featured and set to Hunchback of Notre Dame score music. The impressive quality of many production photos found in this presentation makes it feel all the sadder to see the film only surviving in its current state as the clarity and richness featured in these photographs extends significantly beyond the actual film's presentation. 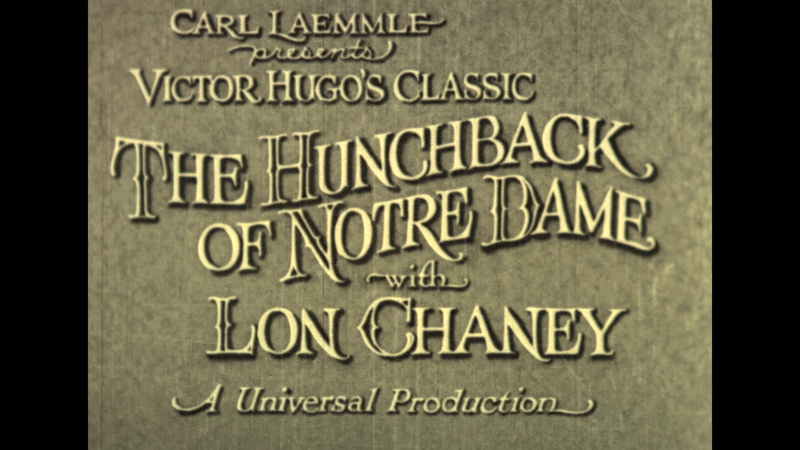 The version of The Hunchback of Notre Dame presented on this new Blu-ray edition from Flicker Alley is now over 90 years old. The film itself feels rather timeless and features a remarkable star turn from actor and make-up extraordinaire Lon Chaney. Unfortunately, presentation-wise, the transfer is a bit of a disappointment as the film still has many dirt elements, scratches, and damage. Flicker Alley used the best print of the film that survives, though expectations must be kept in check. 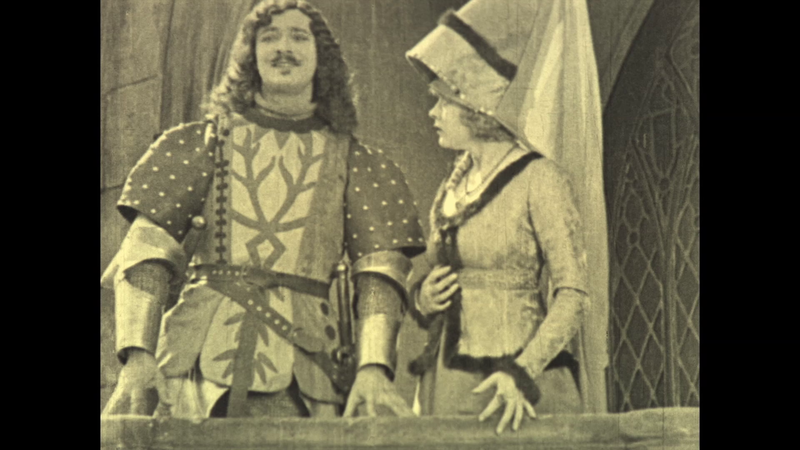 Being limited at a 16mm reduction dupe (the only version that survives) that image is not as clean and clear as some other recent silent film releases and there are still a lot of print wear that's evident. Even so, as remarkable a silent film as this is comes strongly recommended.